"I have taught all over the Omaha area. I write special music lessons for all ages using the guitar. I publish music books. I give group lessons and individual lessons. I have taught adult education for years through Metro Community College at High Schools all over Omaha. I also work with The Latino Museum, Omaha Blues Society, Durham Museum, Loves Jazz and Art Center, Omaha Libraries and Omaha School of Music. I have a series of programs throughout the year that include 1 - 12 grades for Omaha schools. I also work through the Nebraska arts Councils as a touring artist. I have videos on Youtube George Walker Plays Jazz On The Green. 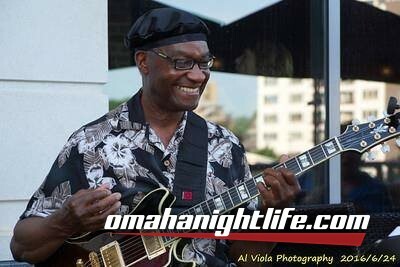 www.georgewalkermusic.com and you can google Guitarist George Walker Omaha Nebraska."